It’s hibernation season. All we really have energy for this month is Netflix… We can all admit to sometimes driving when tired but most of us aren’t aware of how dangerous it can be. Shockingly, research suggests that driver tiredness has the same effect as being over the drink-driving limit. In fact, one in six crashes resulting in death or injury are fatigue-related, according to Brake. Unlike with alcohol though, police have no way of measuring whether a driver is impaired by fatigue. It’s really down to an individual to make sure they’re good to drive. Why is driving when tired so dangerous? Fatigue reduces a driver’s reaction time, alertness and concentration. It also weakens ability to assess risks and so might lead to poor decision-making while on the road. If you fall asleep at the wheel and crash, your injuries are likely to be more severe. You won’t see a potential collision coming, so you won’t be able to take any action to prevent it. 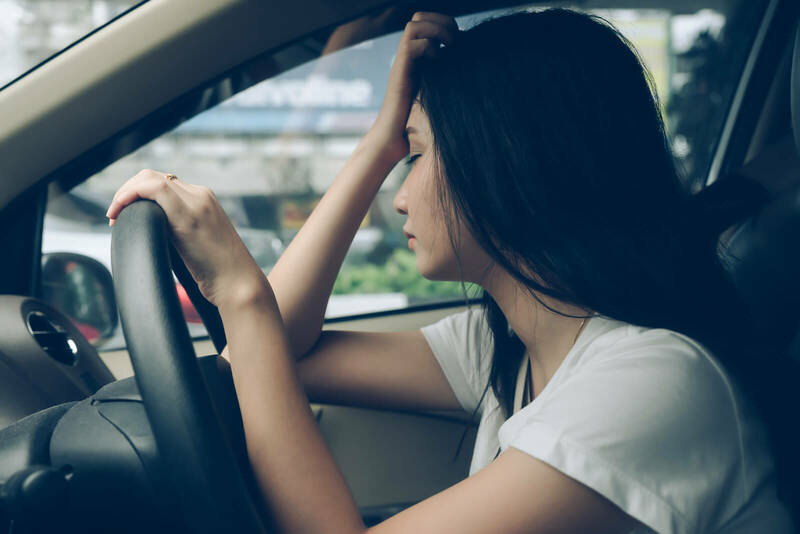 According to the AA, one in eight UK drivers admit to falling asleep at the wheel and 37% say they’ve been scared of falling asleep when driving. You might nod off at the wheel without even realising it. Micro-sleep is an episode of light sleep lasting from a fraction of a second to 10 seconds. The brain goes to sleep involuntarily, and often the person isn’t even aware it’s occurred. Drivers are particularly vulnerable to micro-sleeps on motorways and dual carriageways due to the monotonous road environment and lack of driver stimulation. Since it’s difficult for the police to measure, there’s no offence specific to driving when tired. If tiredness is suspected to be the cause of a crash, the police can investigate aspects like length of driving or the type of impact. In a fatal accident, you could be charged with death by dangerous driving or death by careless driving, with a maximum penalty of 14 years in prison. You must tell DVLA, if you’re drowsy or sleepy because of a medical condition. Not doing so, can result in a fine of up to £1,000. How can I avoid falling asleep at the wheel? Get a good night’s sleep before going on a long journey. If you start feeling sleepy during your journey, pull over when it’s safe and take a break. Act as soon as you doubt your alertness behind the wheel. Plan your journey to take sufficient breaks – with an insurethebox policy, you could earn more Bonus Miles if you take breaks on long journeys. Sleepiness often occurs after a large meal so be cautious when driving after mealtimes. If you’re taking medication that can cause drowsiness, make sure that you follow the advice given in the manufacturer’s information leaflet. Avoid taking long journeys between midnight and 6am when natural alertness is at a minimum. Maybe drink a cup of coffee and roll your windows down for some fresh air during the drive. The real cure is proper sleep and planning your journey ahead.